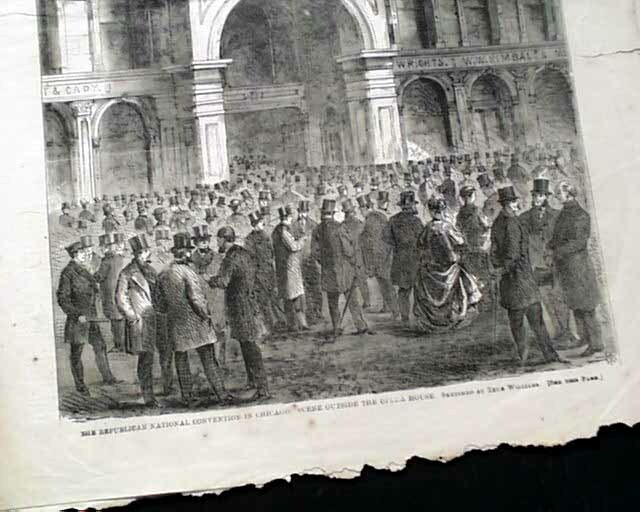 The front page features a print: "The Republican National Convention in Chicago. Scene Outside the Opera House." 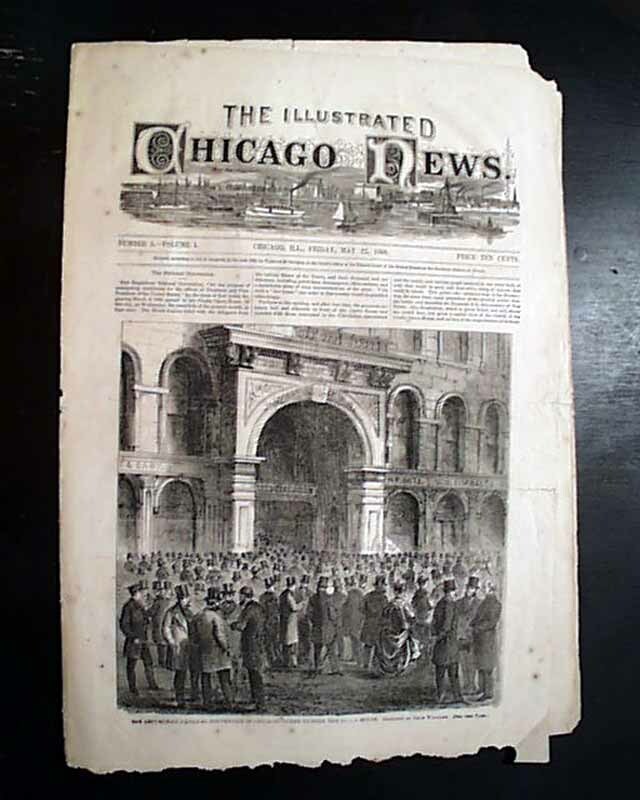 Inside has a full page: "Views of a Chicago Grain Elevator"; a full pg: "The Quadrennial Conference of the Methodist Episcopal Church...in Chicago" & two related smaller prints. 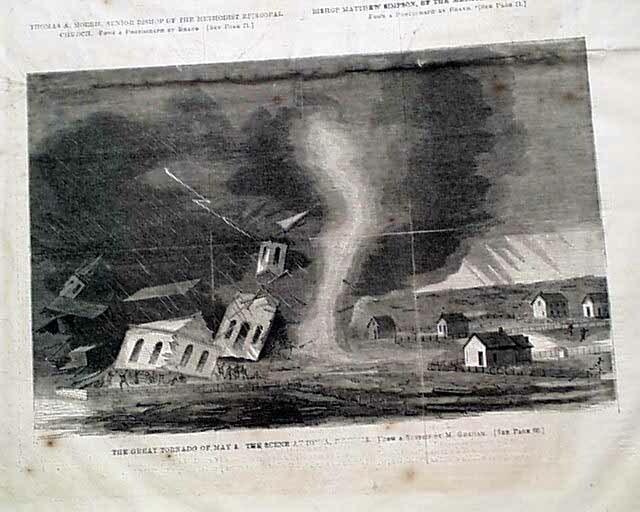 Other prints: "The Great Tornado of May 3. 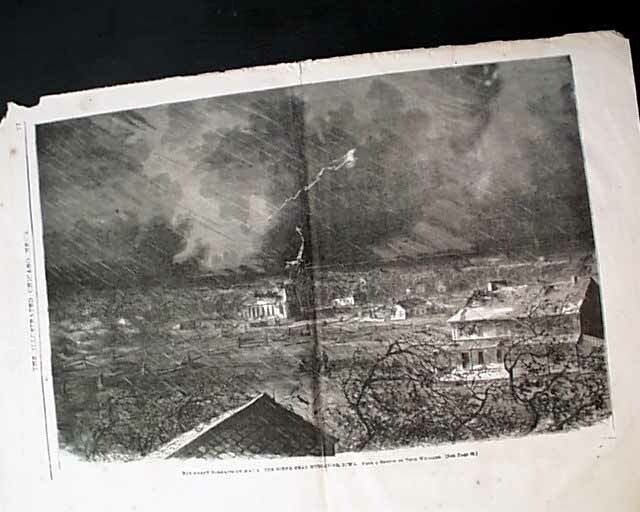 The Scene at Ionia, Illinois" "The Great Tornado of May 3. 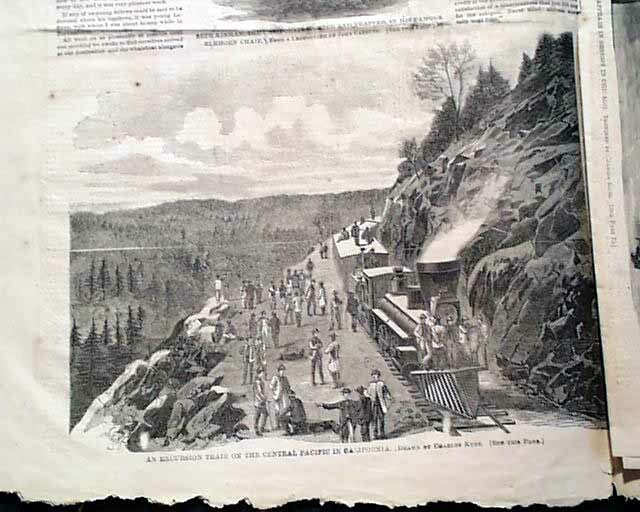 The Scene Near Muscatine, Iowa" "An Excursion Train on the Central Pacific in California" & "Seth Kinman, the California Hunter & Trapper, in His Famous Elkhorn Chair" (see hyperlink for much more on him). 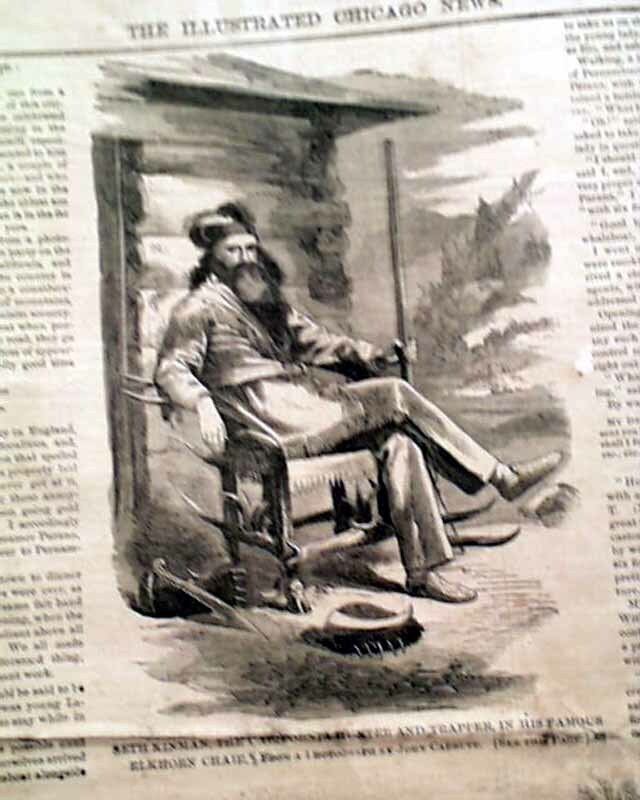 Lacking is a full page print by Thomas Nast so present are 14 of 16 pages. A very rare title, never bound nor trimmed mouse-chewing at the bottom of the first two leaves not close to any text, an old tape mend to a bit of text, not to prints.